Encoder Products Company (EPC) has been a leading designer and world-wide manufacturer of motion sensing devices since they opened their doors in 1969. 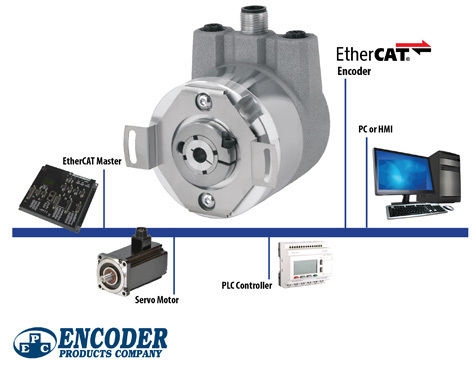 Throughout the years they have maintained that legacy by designing the latest and best products in the industry, which is why EPC has recently released two versatile encoders suited for applications where Ethernet-based connectivity is required. 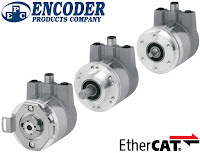 The Model A58HE, a 58 mm encoder in a hollow bore construction, and the Model A58SE, a 58 mm shaft encoder available with either a clamping flange or a synchro flange, were specifically designed to endure harsh factory and plant environments while working with the efficiency of EtherCAT and multi-turn absolute encoders. For more information about this product, please contact us at 800-228-2790. Our sales team would love to stop by for a demonstration and show how this line can improve your production.